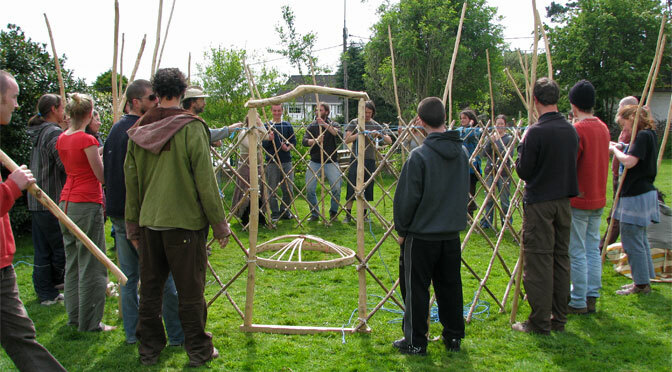 Cloughjordan EcoVillage is a project that creates a socially, economically and ecologically viable community that will serve as a model for sustainable living into the 21st century and as an education, enterprise, research and service resource for all. All buildings in Coughjordan Ecovillage are built by members in line with the overall Master Plan design, and with our Ecological Charter specifications. As a community we aim to share out the rights and responsibilities of making this project work successfully. To achieve this, they integrate various aspects of ecological design, permaculture, ecological building, green production, alternative energy, community building practices, and much more To find out more about how we are organised, click here. 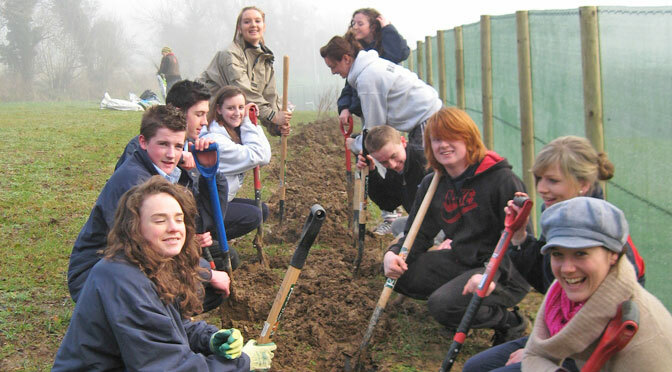 Community Farm: The Cloughjordan Community Farm is a cross-community that spreads over 40 acres outside Cloughjordan and a further 12 acres in the Ecovillage. Over 50 households currently subscribe to the farm and at full capacity it can cater for up to 80 families. For more info on this farm and its produce click here. Visit us for one of our guided tours or attend come along to one of our Experience Weekends – all information can be found here. All information further information about Cloughjordan Village can be found on our website.